Compass pocketed $100 million in a recent funding round that valued the brokerage startup at $1.8 billion. The company has raised a total of $325 million since it was founded in 2012. 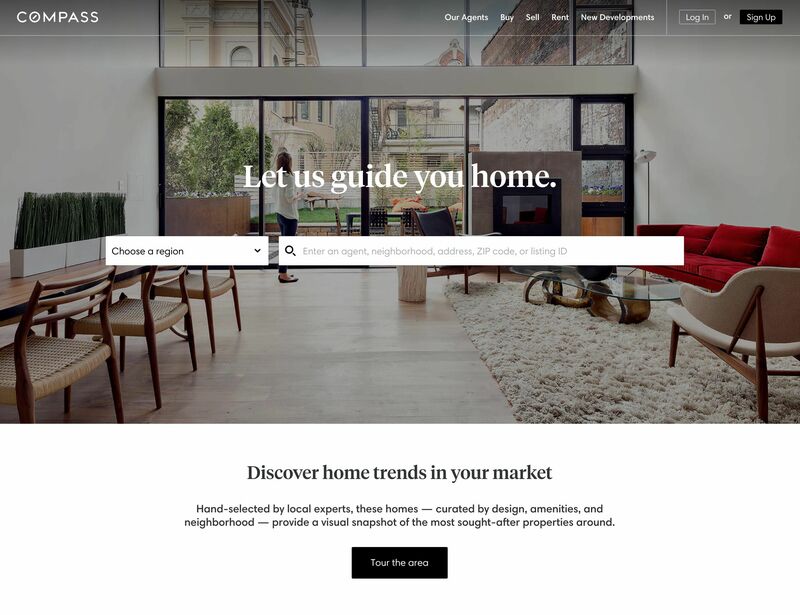 Gramercy-based Compass plans to use the cash to continue beefing up its technology, specifically integrating more data on transactions, listings and clients into the CRM platform used by real estate agents. The number of agents using Compass has grown by 500% in the past two years, the company said in a press release. "Compass has proven that its technologically advanced platform is incredibly attractive to the industry's top agents," said Todd Chaffee, general partner at IVP. "Their position at the intersection of technology and real estate gives them the unique opportunity to be the single-largest holder of real estate data, ushering in a new realm of possibilities for agents and clients alike." The investment also is likely to fuel the company's expansion to more cities including Austin, Texas; Chicago; Dallas; Philadelphia; and Seattle. Compass currently operates in metropolitan areas including New York, Los Angeles and San Francisco, as well as affluent communities such as the Hamptons and Montecito, Calif.
Fidelity Investments was joined in the Series E round by Wellington Management Co. and Institutional Venture Partners, both of which had invested in an August 2016 funding round.